To start the show off, two developers from DICE came out to talk about the new gameplay innovations and new gameplay of Battlefield V. There will be new interactive environments, moveable stationary weaponry, and of course, more world destruction. The story mode for Battlefield V will also focus on the untold stories of World War 2 rather than focusing on the major battles that happened during the war. Also, there will be no lootboxes and no premium passes present in Battlefield V.
With all of these new additions, it was also revealed that there will be an additional mode for all to play: battle royale. The staples of the Battlefield series (destruction, team play, and vehicles) will be jam packed into this new experience. Although those were the only details discussed during the presentation, more information about the mode will be coming later this year. Next, a new trailer was quickly shown off. In the trailer, elements of the story were shown alongside a, epic musical track. Next up was the teaser for another trailer, but this time, it focused on the story of Battlefield V. The story section titled “Nordyl’s Story” will have the world’s first look during Xbox’s press conference tomorrow. Afterwards, the show moved on to a quick look at FIFA 19 with a new trailer and information regarding the story mode. As quickly as it came, the show moved on to EA’s investment into the cloud gaming world. EA’s hope is to one day have it so gamers can play games anywhere at any time. This is to be done through EA’s game streaming service through their cloud storage methods. A tech demo will be present for people who want to try out this step into the gaming streaming service. Moving onto the topic of subscriptions, there was also the announcement of Origin Access Primer. With this subscription, you will gain access to a library of titles from EA for only a small monthly fee as opposed to buying a game outright. With this subscription, players will be able to gain access to new titles, such as FIFA 19, Madden 19, Battlefield V, and Anthem, but will also have access to over 100 EA titles. This subscription service will launch later this summer. 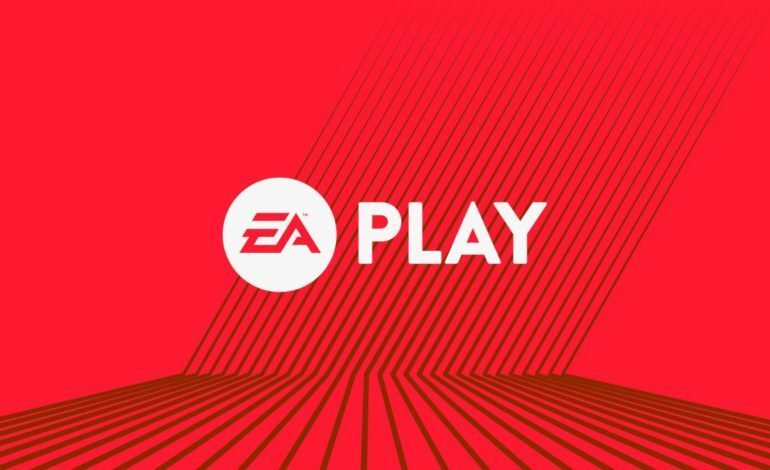 However, this weekend, players will be able to try out the basic subscription of Origin Access Primer at EA Play. Moving on to the next part of the press conference, there will be a new addition to the Star Wars gaming universe titled Jedi Fallen Order. The game will take place during the time where Jedi are being hunted, and it will have a darker tone to it. While no more details were given regarding the new title, it was stated that we can expect the game to launch holiday of 2019. This could also be the Star Wars game that had its production halted after Visceral Games was closed down late last year. Moving on, but still on the topic of Star Wars, the talk switched over to Star Wars: Battlefront II. It started off with an apology for not getting the launch of the game right at launch, and the lead designer of Battlefront II explained how they had to take a step back and overhaul the entire progression system. They also discussed how they added the new Hunt mode from the original Battlefront title. New content based on the recent release of the Han Solo movie is expected to launch sometime next week along with a new planet for players to experience and the return of the Extraction mode. There will also be an update to make teaming up with friends to play Battlefront II easier. A new Starfighter mode will be added to focus more on dogfighting with ally and enemy ships. A new multiplayer sandbox experience is currently being worked on for the game that will have players capturing command posts and destroying capital ships. Also, later this year, new content for the game will come out that will focus on a fan favorite conflict of the series, the Clone Wars. The new content will feature the biggest map ever created for Battlefront II, and will also feature iconic characters, such as General Grievous, Obi-Wan Kenobi, Count Dooku, and Anakin Skywalker. Moving on, Unravel Two was announced. In the followup game to the fan favorite of 2016, Yarny, the protagonist of the first game, will have an additional companion to accompany him on his journey. The new title is slated to be about fresh starts and second chances. The game will be playable either solo or with a friend, but there will always be two characters present to overcome obstacles. Solo gameplay was shown off, and it was revealed that while playing alone, the more fast paced moments has one character carrying the other, so as to not slow things down, but during the puzzle moments, the two characters can be controlled. It was also indirectly revealed that drop-in drop-out co-op is possible with the game. Next on the topic of indie games, EA announced a new title as a part of their EA Originals program. The game, Sea of Solitude, is from the Berlin studio, Jo-Mei. The title is set to have players experience different kinds of loneliness. The main character has her negative emotions manifested on the outside, and those emotions turn her into a monster. The objective of the game is to figure out why she is the way she is. The game is expected to release sometime in early 2019. NBA Live 19 was next on the list of showcased games, and it featured a quick look of the title in action. NBA Live 19 is expected to release September 7. Next up on the EA Sports titles was Madden 19. The game showcase opened up with a quick showcase of the Madden 18 tournament champion from last year. After a quick little discussion about the champion, the show cut to a trailer for Madden 19. Afterwards, a brand new Command and Conquer title was revealed. The new game, titled Command and Conquer Rivals, will be a mobile game. To show off the gameplay, a live competitive demo was shown off between two RTS players. Players touch on the screen to move and attack, and micromanagement of resources is still present with the game’s units. The map shown off had the two players trying to take control of one of three locations that would launch a missile at the enemy’s base. Once two missiles were launched at an enemy, that base is destroyed, and the other player is crowned the winner. Although simplistic sounding, it was still an intense match with lots of nuanced movements going on. While there is no release date for the title, the pre-alpha version is currently available on the Google Play store for Android users. Finally, after teasing the title throughout the show, EA closed out their press conference by showing off Anthem. A brand new trailer for the title was shown to kick things off. Afterwards, three developers were brought out to talk about Anthem. During the chat, it was revealed that that the world is shared experience, but there are also single player experiences. Players can experience co-op by playing with their friends in the world, but when they go back to town to turn in quests, they are treated to a more single player narrative. In addition, the game has been designed to have more story added for years to come, so this indirectly confirms the addition of DLC support. The game was also created with the idea that playing with other people is more of a choice than a necessity. It was also revealed that the four forefront Javelin suits are named ranger, colossus, interceptor, storm. Ranger is built for 1-on-1 fights, the colossus is built to devastate the battlefield. Customization will be highly present, with the ability to customize the Javelin suit, purchase cosmetic and vanity items, and most importantly, there will be no lootboxes within Anthem. In the end, new gameplay footage was shown of Anthem. During gameplay, the four Javelin users go on a co-op mission, and the amazing, massive environments were shown off. Combat for each character is shown in quick snippets throughout the trailer with an emphasis on the flying, and the ranger and colossus suits. Anthem comes out February 22, 2019 for PC, PlayStation 4, and Xbox One.